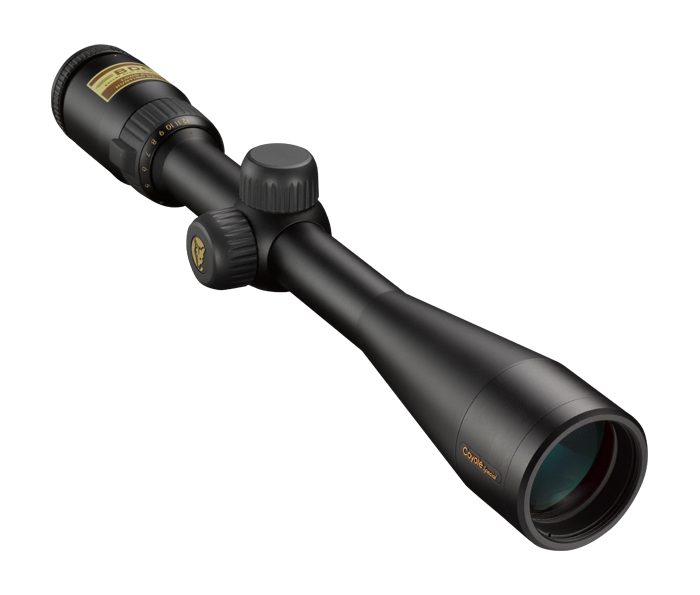 One defining quality that distinguishes the Coyote Special from all other Nikon riflescopes is the use of the BDC Predator Reticle. Designed around the needs of predator hunters, its unique open circle design doesn’t obscure the sight picture and makes shots at moving targets easier. The Coyote Special is optimized for use with Nikon’s Spot On Ballistic Match Technology to provide shooters with exact aiming points on the BDC Predator Reticle at different yardages and different ammunition. To simplify field adjustments, Nikon has integrated this feature into all new Coyote Special riflescopes. Just sight-in as usual, then lift the spring-loaded adjustment knob, rotate to your “zero”, and re-engage. Field adjustments are now as simple as dialing-in your subsequent ranges. The Coyote Special series, like all of Nikon’s riflescopes, are optimized for use with Nikon Spot On Ballistic Match Technology. Spot On allows you to discover all of the exact aiming points on your scope’s reticle at various yardages for your specific ammunition and load. Coyote Special riflescopes feature a removable ARD (Anti-Reflective Device) designed to eliminate game-spooking objective lens reflection.